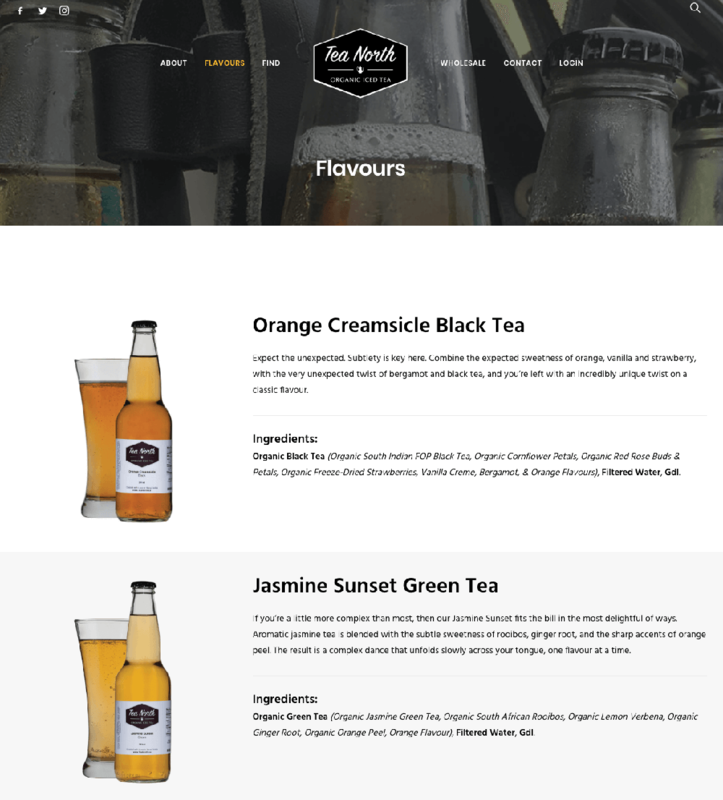 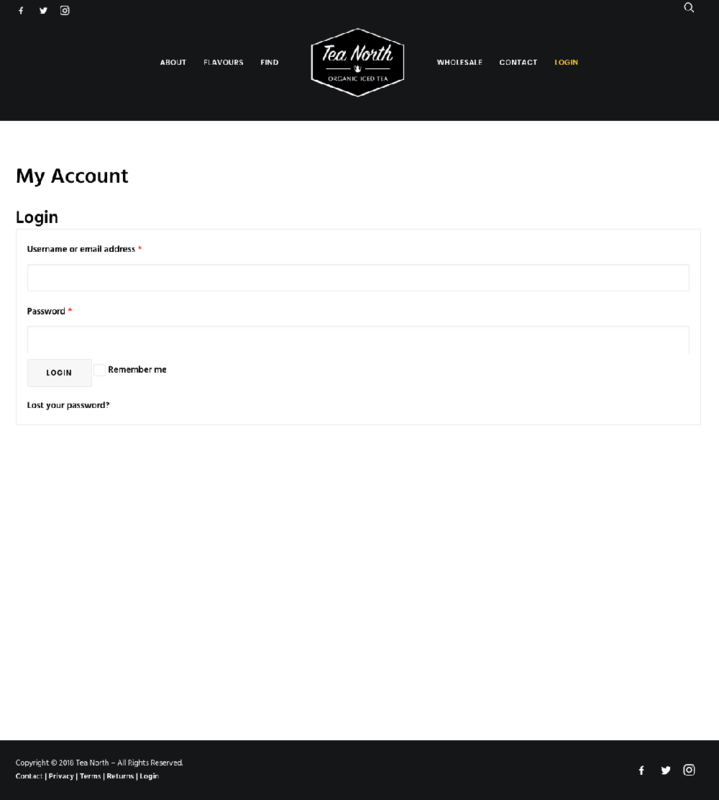 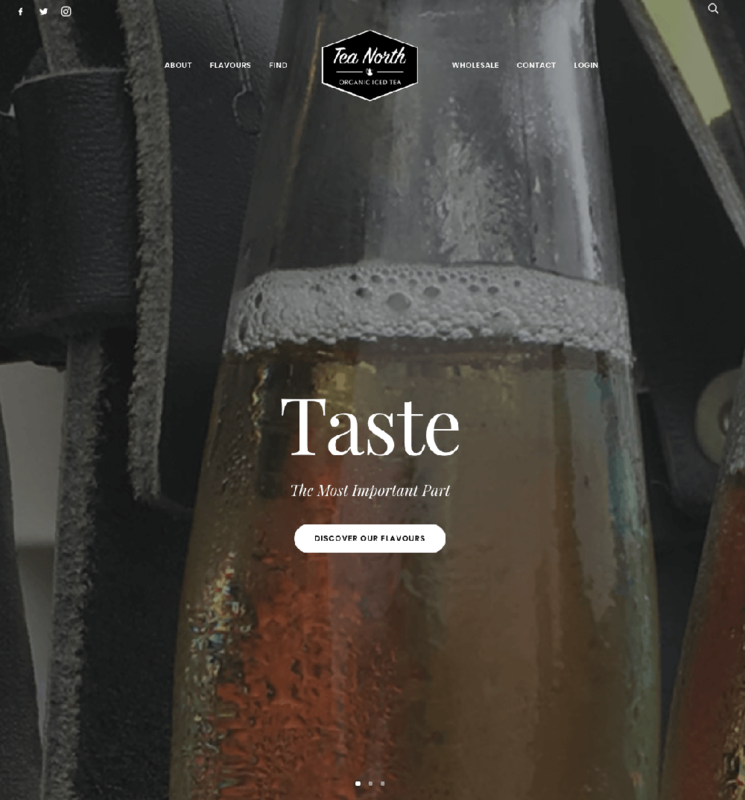 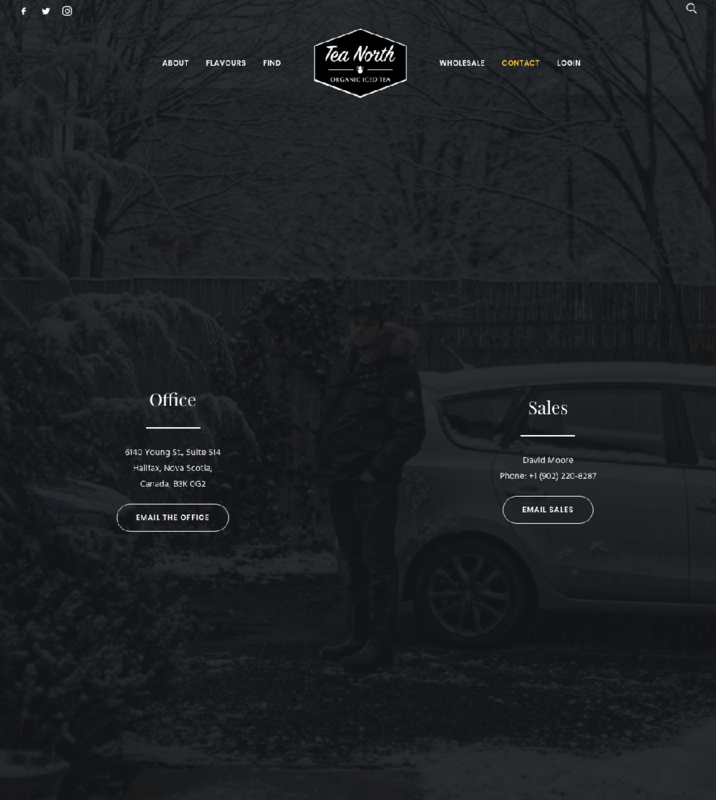 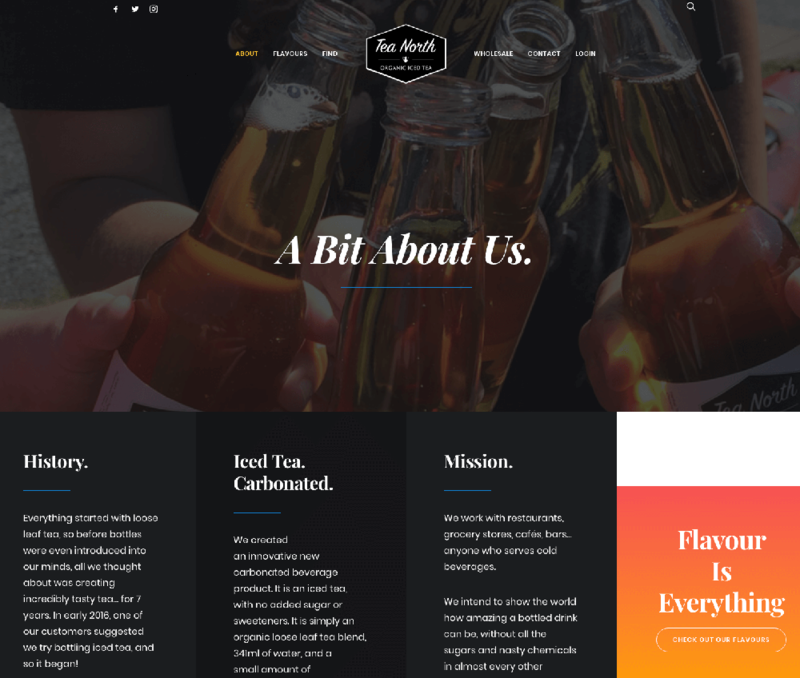 Tea North’s website features their current flavours, ingredients, and nutrition facts. 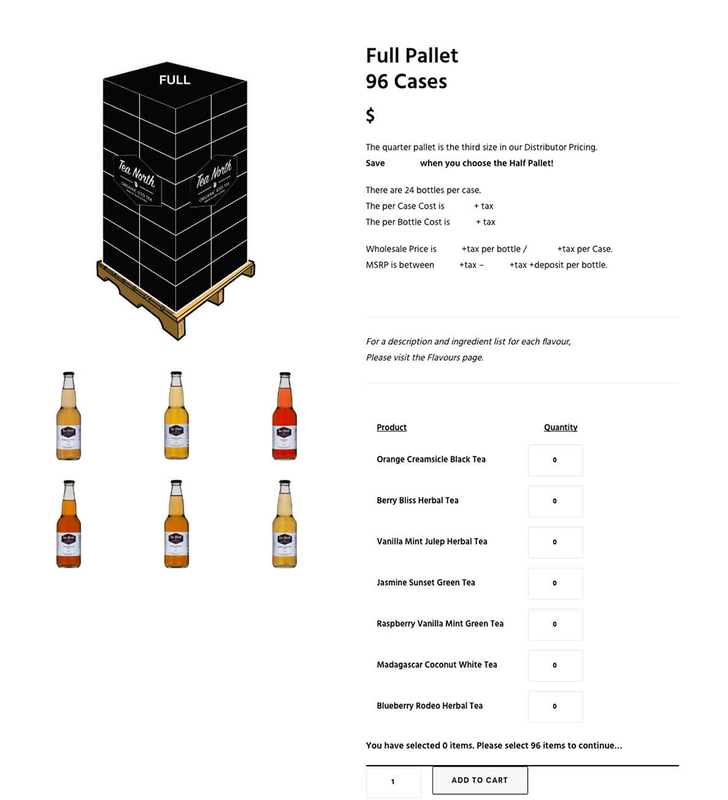 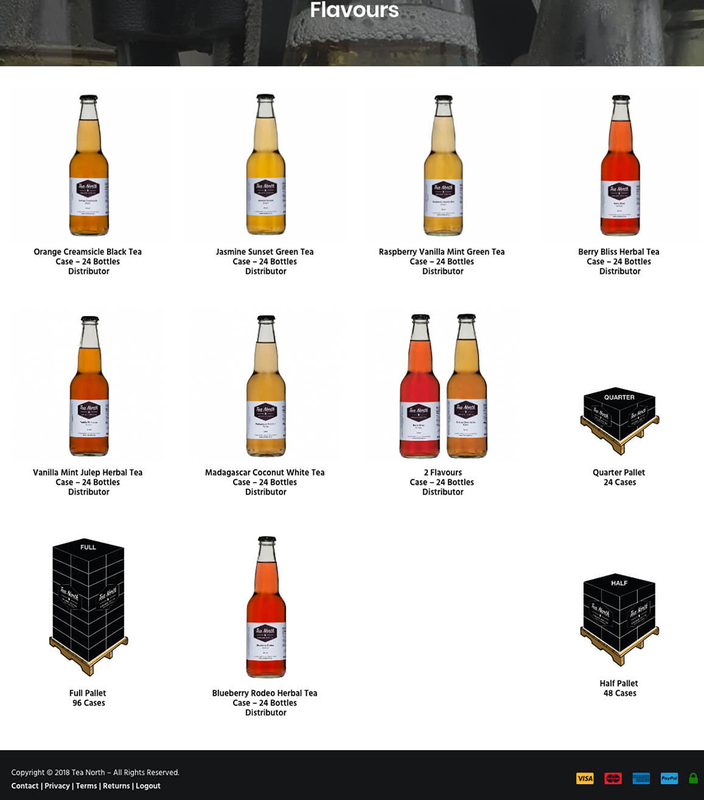 Wholesale and Distributor customers each have a seaparate login and can order direct from the website, including the ability to build a quarter, half, or full pallet. 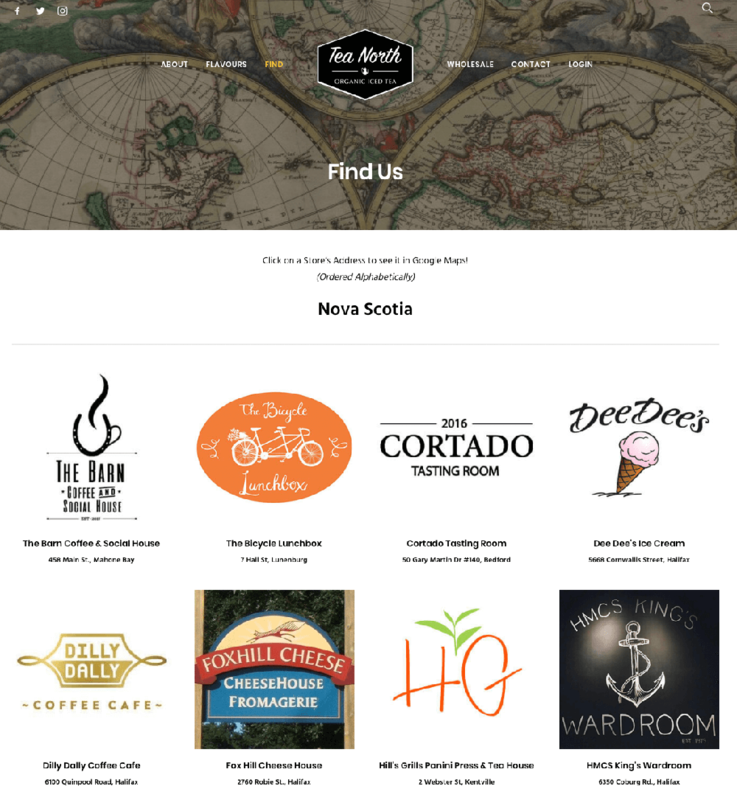 We are experts in Design, Development, eCommerce, and Management. 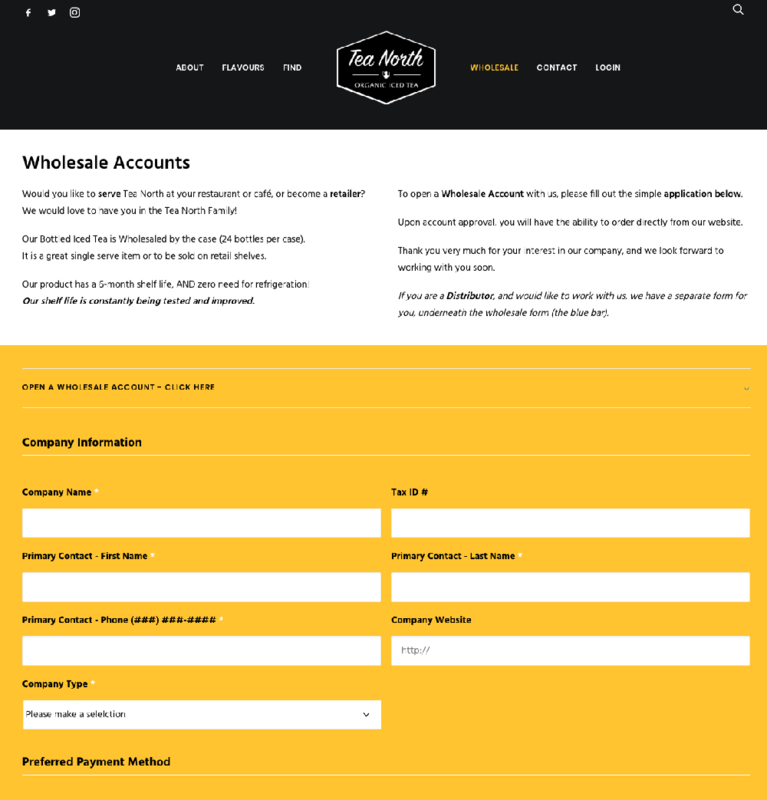 We will guide you on best practice, combined with real-world experience.